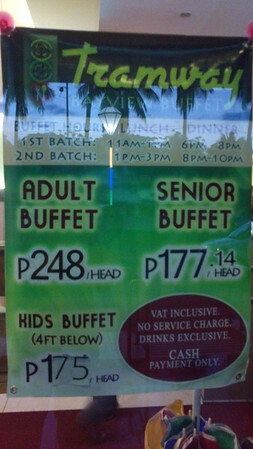 I forgot already when the Tramway Bayview Buffet opened along Roxas Boulevard (but I'm pretty sure it was after I had my second-born christened in 2010, because we still inquired from the Chinese restaurant that occupied that building then but opted for the cheaper Aristocrat packages). 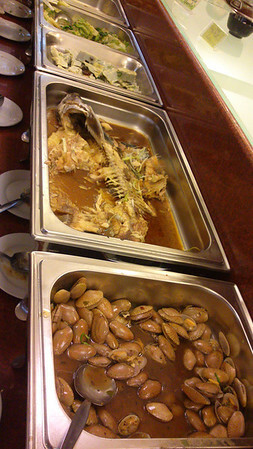 Hubby and I have always wanted to try going there and compare if it offered the affordable but quality buffet (like the one we enjoyed from Tramway Garden Buffet) but we realized we couldn't do buffets anymore. Haha. 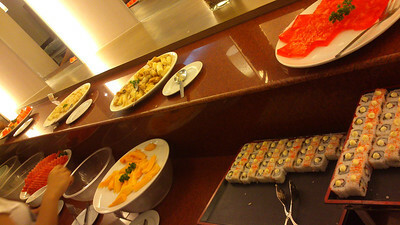 But FIL chose the restaurant for his birthday dinner, and so we found ourselves revisiting old Tramway favorites. 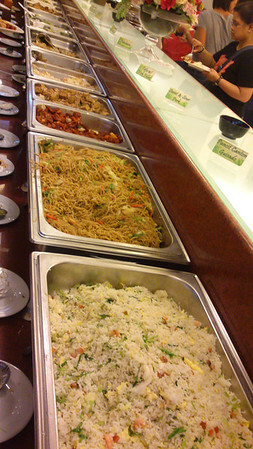 Anyway... try Tramway Bayview Buffet if you want to be filled to bursting without making a huge dent on your wallets. 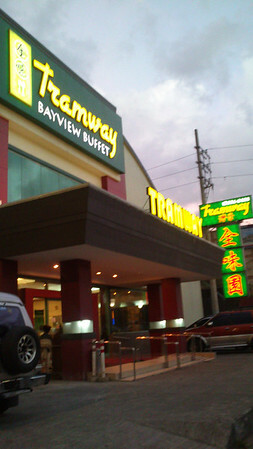 If you have nothing to celebrate about or simply just want to dine out with unlimited food on your table then tramway is the perfect place to fulfill your hunger, but in my case i was able to bought mine with a discount on a group buying site.